Leaving Yoshino was sad indeed. Brett and I wish we could have spent considerable more time there, but the fact of the matter is, we wish we had considerable more time to spend in Japan. It was around that point in our trip (halfway through) that we decided that we would need a couple of months at least to really soak in the amazing country we were so blessed to visit. So we called back to the United States, quit our jobs, and started planning a pizza food truck operation based out of Tokyo. Kidding! But we all need our dreams. 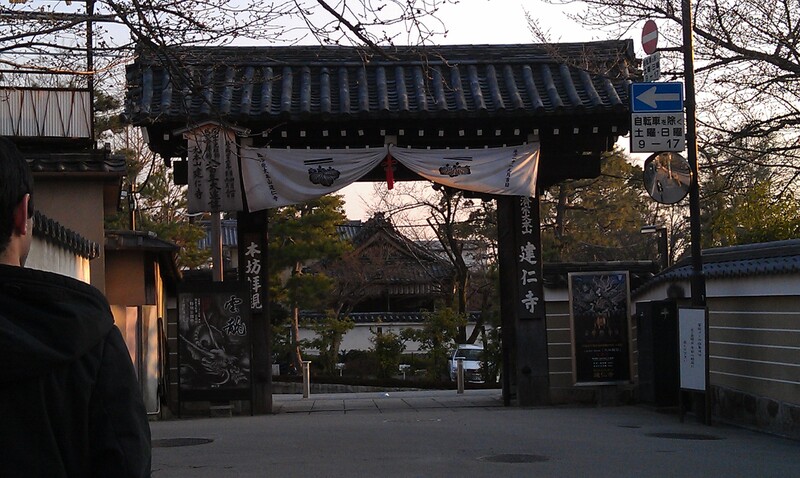 We had another Ryokan booked in Kyoto, but I was desperate to spend some time in Nara. Nara has a number of large parks, fields with holy deer, and old palaces. I wanted to rent bikes and explore the countryside. We had the lovely English-speaking man at our Yoshino Ryokan call our Kyoto Ryokan to see if we could cancel. They told us that they had a 100% cancellation fee. So to Kyoto we went. I was determined to make the best of it, but I was a little bitter about not getting to go to Nara. Kyoto, however, turned out to be wonderful. I’ve lived in a number of different places, and I’ve done my fair share of traveling. At the ripe age of 25, I have learned that I need a mid-size city. I adored Prague and Vienna, but was underwhelmed by London and Berlin. I still daydream about returning to my beautiful Seattle, while New York continues to feel like a layover to me. Tokyo was an exciting place to visit, but walking the streets of Kyoto, I knew it was a place I could see myself living in. Our Ryokan wasn’t quite as authentic and awe-inspring as our Ryokan in Yoshino, but it was still charming with beautiful gardens and delicious food. After checking in, Brett and I stopped in at an ice cream shop across the street. I got a green tea/vanilla swirl cone while he opted for cherry blossom (which just tasted like cherry to me.) We began to wander around. You can’t walk a couple of blocks in Kyoto without tripping over a shrine/temple. 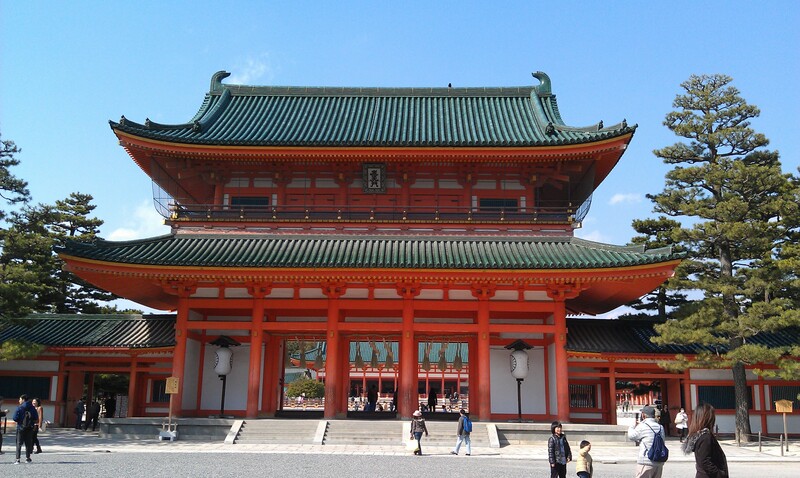 The temples/shrines were obviously impressive. But I began to experience the “Cathedral Condition” that I had experienced while traveling in Europe. When you first get to Europe, all the medieval churches are awe-inspiring with the Gothic architecture and intricate glass stained windows. But after entering your 20th European church, you lose that awe and think, “Yep, this is a church.” The shrines and temples in Japan were foreign enough to me that they made me ooh and aah throughout the trip, but they became less and less of a focus. Brett and I then headed down to Gion Street, a traditional street with cobblestones, paper lamps, and geishas. The walk there was almost more worth it though. We stopped into a number of cute shops, one where I bought beautiful handmade earrings and a hair clip both made out of old kimono material. We wandered down alley ways. People passed us on bikes. We guffawed at a restaurant called “What Beef?” We wandered alongside a small creek. It felt like home. The sun was setting, so we headed back to our Ryokan for dinner. Our dinner was fantastic and similar to our dinner in Yoshino, but again, not as extensive and grandiose. We had plans to go see some sort of a light show at a nearby shrine after dinner. But we decided to just “rest our eyes” for a couple of minutes after dinner. As it always happens in that situation, we slept straight from 7pm until 7 the next morning. We were sad to miss out on the shrine, but we obviously needed our rest. After our Japanese style breakfast, we went our separate ways, Brett to explore some more temples, me to my Buddhism class. After the class, I was in such high spirits. I felt refreshed and joyful. I was running late to meet up with Brett, but I couldn’t stop myself from wandering around the temple grounds a bit. When I finally left the grounds, I was really running late when I passed a small shop full of stone carvings. There were intricate buddhist statues and shrines, and smaller knick knacks. A small owl statue caught my eye. I debated with myself for a minute outside the store, then just decided I had to have it, being late be damned. I poked my head in and inquiringly said, “Ohaiyo gozaimas?” The formal good morning. In Japan, owls are symbols of good luck, and they ward off suffering. This guy wards off suffering from my dresser. From behind a small work station came the tiniest, cutest, old Japanese lady. She had a little hunchback and maybe came up to my elbow. She was all smiles in greeting me and spoke rapid Japanese. I was in love with her instantly and would have put her in my pocket and brought her back to America if such things were possible. 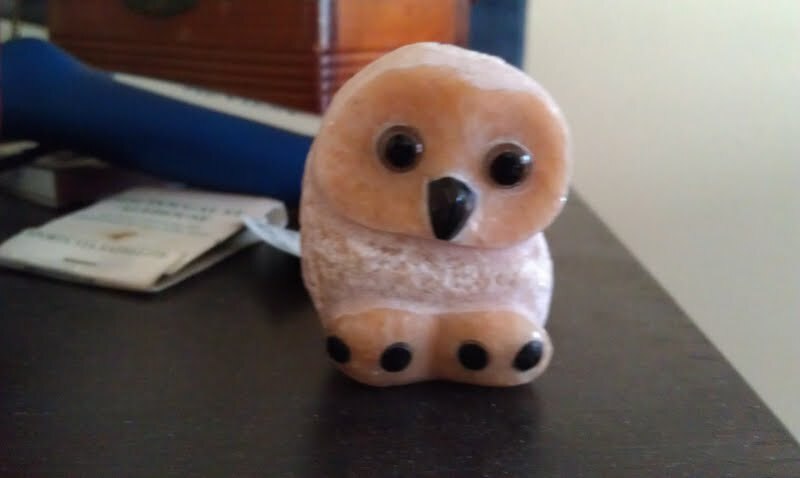 I picked up my little owl statue and handed it to her along with the money to pay for it. With a blissful smile from ear to ear, she took the statue and began to wrap it up for me, still talking in nonstop Japanese. At one point, she turned to me, said something and started laughing at whatever joke she just made. Her little face and chuckle only made me chuckle. I said thank you and bowed to leave. She bowed and said thank you. I bowed and said thank you. I backed up toward the door, continuously bowing and thanking her, she waved and bowed, I laughed. Once outside, I was beaming. I turned to walk down the street when I saw a dashing Japanese man at a vending machine. I was so taken aback my the simplicity of his request. But my heart skipped a beat for him, and of course I said yes. We walked and talked about a variety of things. His name is Hiyashi. He’s from Kyoto. “This is my city,” he told me proudly. We talked about baseball and Japan. I was sad to reach the train station where we would part ways. I told him it was lovely to meet him, and he wished me a wonderful trip. I entered the train station and committed myself to memorizing every detail of that morning. Brett and I met back up at the Ryokan, gathered our things, and made our way back to Kyoto station to catch our bullet train to Tokyo. We had a baseball game to go to that night.